All the dudes over at Absinthe Films have been doing a TV show about the making of their films for the last three years. 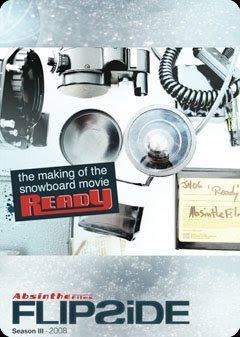 The most recent season, which covers the making of Ready is out now on iTunes for 9 bucks. That's for six, 20-minute episodes. Drop another $6 and you can get Ready, too. Make it an Absinthe marathon and watch everything in one night while polishing off a bottle of their namesake beverage. Now there's an idea... Problem is, I'm already two episodes in and the liquor stores are closed.